Step parents will play a big role in a child’s life. Whether mom or dad likes it, step parents will be spending time with their children. In the ideal world, all parties involved will be supportive of the new relationship. But there are times when a step parent may receive backlash from the opposing parent. The one time when a step parent will receive the most backlash is when it comes to a child’s schooling. It’s not uncommon for a step parent to try and help a child with their homework, attend afterschool activities and even attend parent-teacher conferences. These three scenarios can be problematic, and we’re going to discuss how to make them a little easier. 1. Should You Attend Parent-Teacher Conferences? Parent-teacher conferences are a very important part of the school year. 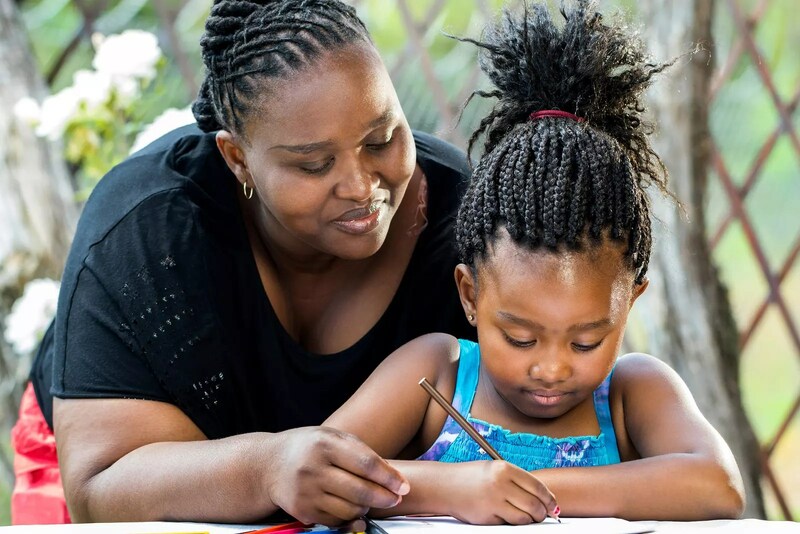 This is the time when a parent will find out the progress a child has made during the school year, and a parent can learn a lot about what happens in school with their child. A stepmom (or dad) may want to be involved with a parent-teacher conference. If this is the first year that a stepparent is in this situation, they’ll soon learn that a lot of parents will have an issue with this. Life has changed for both parents, and allowing someone else into their child’s lives may not be something they’re ready to accept. And there will always be a debate of whether or not a stepparent is overstepping their bounds when it comes to their stepchild. Discuss the Issue Early On: Before conferences are even on the schedule, discuss the option with the opposing parent. Ask if it is okay for you to go to a parent-teacher conference. Discuss the matter, and accept the fact that you may face backlash along the way. Let the Biological Parents Go: Divorces are difficult, and it may be that the other parent doesn’t want you to overstep their bounds. If both parents agree to attend the conference, you may want to pass on the event to avoid an argument. You can always hear the report from your partner. As a stepparent, it’s essential to realize that biological parents do not want you to take their place. If the parent does have an issue with you attending a parent-teacher conference, it’s often better to accept the fact that the biological parent only wants to do their duty as a parent. 2. Should You Help Your Stepchild with Homework? Yes, but it needs to be an amicable decision. Most biological parents will not have an issue with a stepparent helping their children with homework. The issue here is with the child. Kids will be under a lot of stress at this time, and they may not be ready to let you into their personal life just yet. A lot of kids don’t want to be under the stepparent’s authority. Don’t take the child not wanting your help too personally. Don’t force your help on the child. It’s a difficult situation, but you need to accept that the child may not be ready to welcome you with open arms. If the child is a teenager, this can be even a greater issue. You’re the person that may be blamed for splitting up his or her parents – even if this isn’t the truth. Tell them your academic strengths, and also let the biological parent (your partner) know these strengths, too. The biological parent can help ease the transition. If you’re a math whiz and the biological parent isn’t, he or she may say something along the lines of “let’s ask your stepmom/dad to help.” Sometimes, all it takes is as little encouragement from the biological parent to be accepted. But if for some reason the child is adamant on you not helping, don’t force your way into the situation. 3. Should You Attend Afterschool Activities? Maybe Cindy (your imaginary stepchild in this case) plays soccer. And as a stepparent, you may want to go and watch soccer practice or a game. This is normal, and a lot of people will encourage your presence. The issue is that some biological parents can turn this into a big confrontation, and the child will not want this to happen. Avoid the Other Parent: Selective avoidance can go a long way in being able to avoid the whole argument. Select a spot to view the soccer game that is out of view of the ex. Don’t come after the ex and sit right next to them if you know there is resentment between the both of you. It sounds childish, but if you can avoid the person and the argument that may ensue, it’s better for all parties involved. Keep Talking to the Game: If you and the ex can be in the same room together, it’s important to not bring up issues that are “too serious.” Don’t talk finances or about their ex to them. Instead, keep all communication neutral and on the game. If the biological parent comes along with you, it’s a lot easier to keep the whole event as civil as possible. You also have the option of not attending, or you can discuss attending after school events with the ex and work through your issues prior. The Micklin Law Group, LLC is a New Jersey law firm focusing exclusively on family law and estates. Attorney Brad Micklin was recently named to The National Advocates list of Top 100 attorneys from each state. Brad has experience working with child custody. You can read more on this topic by visiting our Child Custody & Support blog. To set up a consultation, call 973-562-0100.